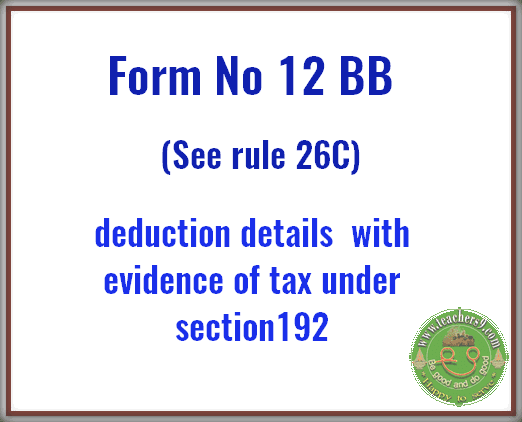 Form No.12BB for the purpose of estimating of a person's income or computing the tax deduction at source. The Govt. of India introduced Form No.12BB in Notification No.30/2016 which was released recently. In the Income-tax Rules, 1962 (hereafter referred to as the said rules), after rule 26B, the following rule shall be inserted, namely 26C. Furnishing of evidence of claims by employee for deduction of tax under section 192. 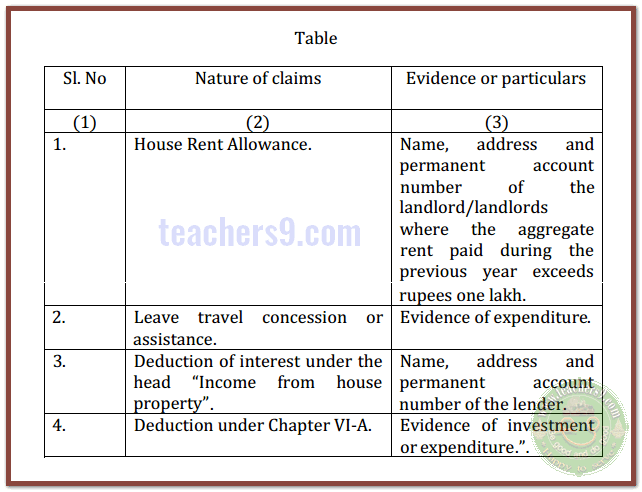 The assessee shall furnish to the person responsible for making payment under sub-section (1) of section 192. The evidence or the particulars of the claims referred to in sub-rule (2), in Form No.12BB for the purpose of estimating his income or computing the tax deduction at source. 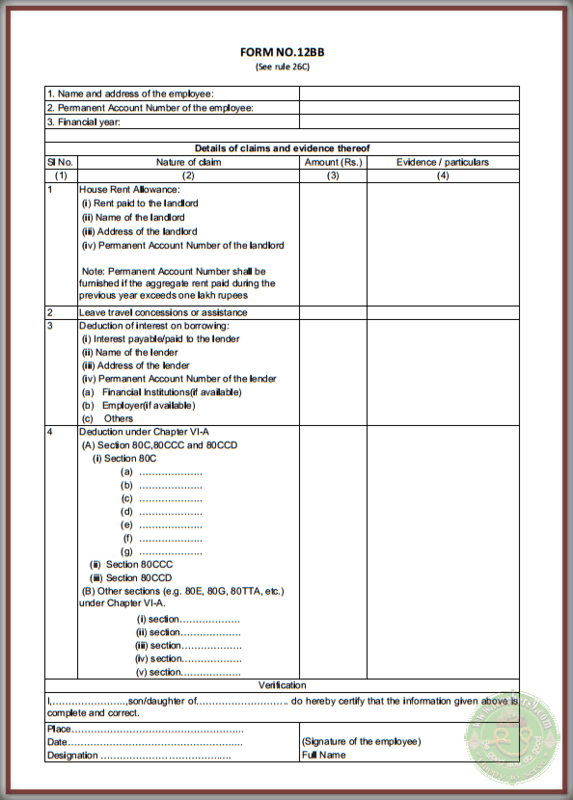 The Principal Director General of Income-tax (Systems) shall specify the procedures, formats and standards for the purposes of furnishing and verification of the statements and shall be responsible for the day-to-day administration in relation to furnishing of the information and verification of the statements. So I will be back with full details of How to fill this form. Download the clear copy of this newly introduced form 12BB.